Cardiff-based branded umbrellas and promotional parasols company. Brollies & Parasols are helping the homeless of South Wales this winter by providing printed umbrellas as part of the Gifts for the Homeless this Christmas initiative. Organised by the incredible Katie Bernard, a student nurse in South Wales, the scheme asks people to make up bags of useful items for men and women. Sleeping on the streets over Christmas. Director of Brollies & Parasols, Emily Baars, saw the initiative grow and develop on Facebook and wanted to help. After spotting that branded umbrellas were on the list of needed items, she sprang into action and got in contact. Now Brollies & Parasols are donating boxes of their Über Brolly Mini Golf Branded Umbrellas as well as their super sturdy and durable golf printed umbrellas to the homeless of Cardiff to offer some sort of shelter from the harsh Welsh elements. The Gifts for the Homeless this Christmas event started last year saw over 1000 gift bags distributed. As well as food vouchers to men and women sleeping on the streets over Christmas. This year the aim is collect over 2000 bags donated by people across South Wales to over 40 drop off centres. Now with companies such as Brollies & Parasols getting involved. It is hoped that the homeless of Cardiff and South Wales will be looked after this year and supported with items that will make their lives a little more comfortable. Brollies & Parasols are the UK specialists in the promotional umbrellas and printed parasols market. With over 15 years’ experience. With factories both here in the UK and the Far East they can offer British quality at Far Eastern prices. They offer an extensive range of high-end quality, technology-led and beautifully printed branded umbrellas and parasols to suit all budgets and requirements. Most umbrellas are custom-made so clients get a completely unique product. Designed to fit your branding like a glove. Plus with a wide range of branding and printing options such as engraved metal cuffs to double canopies to a wide range of handles and finishes. 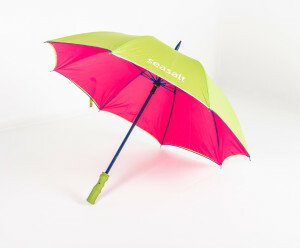 Brollies & Parasols offer the complete branded experience but at low cost prices. Quality runs through everything that Brollies & Parasols does – if your brand is on a product you want that product to last, perform and impress. By offering a complete range of unparalleled quality branded umbrellas and parasols which utilise the latest materials and technology. You end up with a product that is durable and really will last. This culminates in their premium Über Brolly range which comes with a FULL PERFORMANCE GUARANTEE. The only company in the UK to offer such assurance. A sure-fire promise of exceptional quality. ← Browsing for Branded Umbrellas?